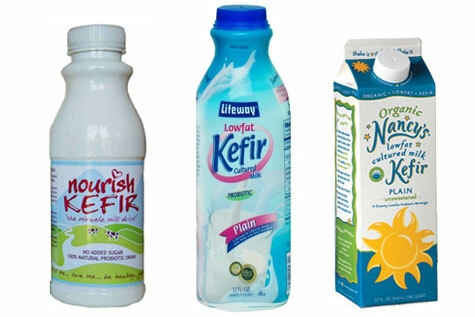 I haven’t tried Kefir as I was not able to find one in Cebu, Philippines. But I posted something about Yakult – Probiotic Drink that become part of my daily drink – one Yakult bottle a day. Hey – Just stumbled across your blog while looking for something else online – and -as I too went through a nearly identical experience (almost 5 years ago) with having my gallbladder out and then being back in trouble again. . .I had to share something with you. Just a few weeks ago, I spoke with a doc and our conversation just happened to take us into the area of my digestive and intestinal issues after having my gallbladder removed. She told me to try something – said that only one person she has shared these tips with did not get relief. She told me to drink Keifer (pourable, live culture yogurt) and take probiotics three times a day. Within a couple of days, I experienced a DRASTIC improvement in bowel function, I lost the constant abdominal bloat and discomfort. .. Now, weeks later, I have had a couple of bouts of diarrhea – but that is NOTHING compared to what I had been experiencing. I was sure the caustic mess moving through my intestines would ruin me – depriving me of a long life -and certainly a happy one. I am SO GRATEFUL to have found this solution. P.S. I don’t do the probiotics and keifer three times a day now – usually just with my breakfast. Hope this works for you too. It’s one thing to have to watch the fat -we all need to do better with that anyway. But to be able to eat regular food – and not have those horrid irritable bowl symptoms. . . AWSOME!!! It seems that Kefir and probitics provide positive benefits to us with no gallbladder. Has anyone without gallbladder tried Kefir?